This entry was posted in Discovering Me, Epic Adventures, Exploring Israel and tagged Abba, connections, Galgalatz, Hebrew, home, Israel, music, Shabbat, travel by Nicki. Bookmark the permalink. Thank you Eli! The “no linger” policy actually makes for very efficient driving, and I’ve started to honk too :). Great to read your words, friend. That feeling you get when you are home? I suspect it’s a little like the feeling I had when I saw your new post notification in my inbox. Aaah. Enjoy your time at home, Nicki. So beautifully written. You are so talented my dear friend. I was standing right there with you in the lineup. Did you see me? Love this, Nicki. Welcome Home. I care that you’re home! For how much longer are you here? Oh Naomi… thank you! Just a couple more days. Sad to not have seen you. Love how this evolved and where you came out here Nicki! Dorothy was right: There’s no place like home! No matter what it’s hard not to love it there! מה לעשות? הלב שלי בארץ, נכון? Home. Isn’t it so strange to come back and embrace the re-entry while also fighting against it and wondering at the all of it? Gorgeous words, love. Glad to see you found the time to write Nicki. 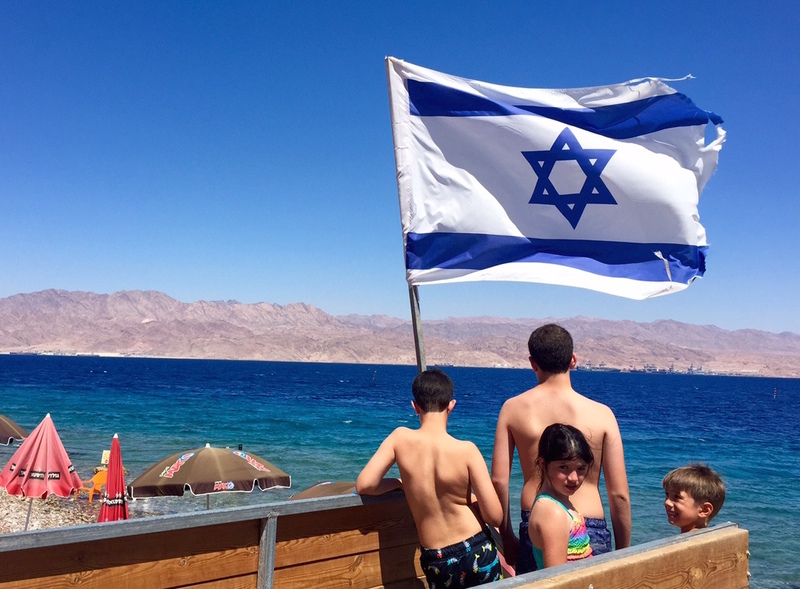 A great piece on the highs and lows of Israel. Have a safe journey home. Thank you Nerys! Meeting and connecting with you was definitely a major high. Looking forward to staying connected and seeing you again soon :). I just wanted to tell you how much I loved your story. Jena has been an inspiration to me for several years now. I love her work—her poems are so lively and real. Your writing is also very real, down-to-earth, lively, heartfelt and just in the middle of the best of what family is. Thank you for sharing it and please keep up the writing. I’m now subscribed to your site and look foreward to read what you write. Daniel, thank you! For reading and commenting and following the blog. And for your beautiful, thoughtful words both here and on Facebook. Delighted to be connected and especially through this piece :). Thank you Nina! Shabbat Shalom, chavera. Stunning details Nicki. I love how the house, your home, beams at the sound of your son’s voice. I could feel the anxiety in the people waiting in the long line with the non-functioning scanner and vanished cashier. The grocery store line is where a person’s true colors come out sometimes. Welcome home. How true about the line at the supermarket! Thank you so much for your lovely words, my friend.